The price is a bit steep (compared to their other products). Last week I found out something new about serums – and I‘m ashamed to admit I didn‘t know it being a beauty blogger – but I still want to share it with you all – so here it comes – you have to wait as long as possible after applying your serum before you apply your cream on top of it. This in order for the active ingredients in the serum to get their time to work properly on your skin. So now first thing I do in the morning is run to apply my serum. All these years I‘ve been piling everything on top of each other (and still felt a good effekt, so now I expect miracles). Anyways, back to this Emma S serum. Being a big fan of their Ageless serum – I decided to give it a go, despite it being for slightly older skin then mine. It‘s main focus is anti-age and being 30 I feel its the right time to start (it‘s soo individual but I feel that just hydrating my skin is no longer good enough). This serum contains hyalaronic acid and Vitamin A derivates. I trust Emma S – because I know their philosophy is all about good efficient no bull ingredients. Emma being a supermodel before retouching existed is a great example of ageing with grace. So using this serum I hoped my skin would get some of her glow. Result? This serum has given my skin loads of hydration and I definitely got rid of my “dryness wrinkles” (lines in your face you get when your skin is dehydrated). Minus? This serum is pretty “fat” so I rarely apply creams on top of it because then my skin feels sticky and make-up cakes up. Makes my skin very soft after use. Takes long time to get absorbed. Those of you who have followed this blog for a while, know that I‘m a fan of Emma S – the Swedish brand, making some great stuff for a pretty reasonable price. 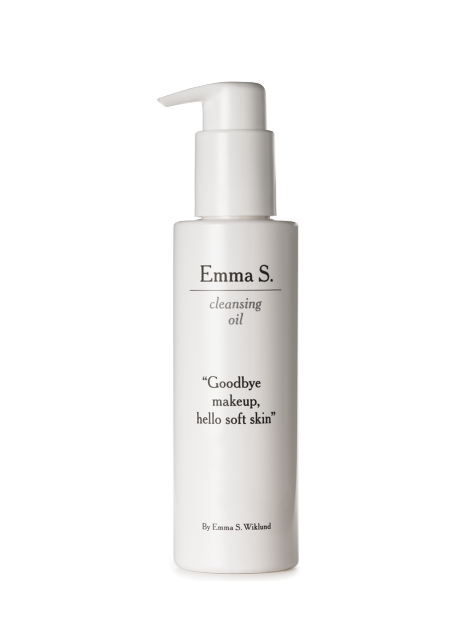 This mask is of high quality, but doesn‘t beat my old favourites from Emma S. – their cleansing oilcleansing oil, and enzyme peel face mask. The mask promises to make my skin beautiful in the morning and relieve signs of stress. Having just started a new job and with cold autumn coming up I thought this boost is just what I need, and that anything promising to reduce my fine lines (which are starting to show their ugly face) – is a go. My verdict is that it definitely adds loads of hydration, and makes my skin more smooth and luminous – making it nicer to wake up and look in the mirror. I‘m not sure about those signs of stress – but maybe it‘s because I simply don‘t have any (wishful thinking). What I don‘t like is that the mask takes a long time to get absorbed, so I kind of have to wander around my place for a while before heading to bed after application. Smells of a summer beach – just like promised. This whole winter has been a looong longing for a summery and warm vacation – and finally its here (I‘m writing this post from sunny Florida yay – don‘t miss the layers). To help me getting through those cold days I‘ve read a few good books set in exotic places, watched too many episodes of Anthony Bourdains culinary adventures – but also used some body products whose smell of summer made me feel my bathroom was a beach. One of them was this Emma S shower gel – which smells of coconut, sandelwood and fig. It lathers well and leaves a nice scent lingering on my skin and in the bathroom. And it doesn‘t dry out my skin – which I love. It‘s a bit pricey but one needs some luxuries sometimes and this is one of mine.